The Pz.Kpfw. IV Ausf. D is a German tier 4 medium tank. 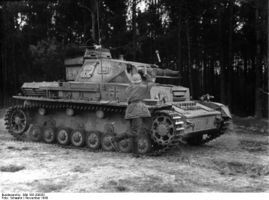 This modification of the Pz IV was developed in October 1939. The vehicle had enhanced armor and an improved, external gun mantlet. 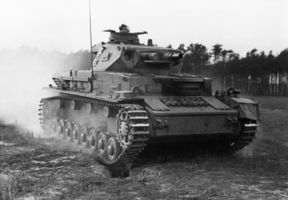 The tank was mass-produced until May 1940, with a total of 229 vehicles manufactured. The Pz.Kpfw. IV Ausf. D leads to the Pz.Kpfw. IV Ausf. H.
Noticeably superior to the Ausf. A in almost every aspect. Armor is still relatively poor against all tanks in its battle tier. 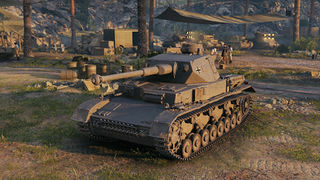 A great tank for its own tier, able to penetrate most high tier tanks reliably, however it will still have difficulties penetrating some high tier heavies. In top tier, stay at the 2nd line and flank distracted targets. Avoid attracting too muich attention by concealing behind terrain elements after you pulled off some shots. In high tiers, act as a tertiary support vehicle by finishing off wounded opponents. 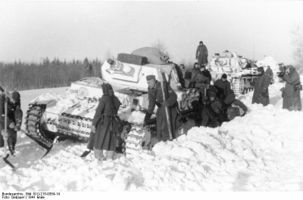 It has great gun depression of -10 degrees, allowing it to utilize terrains effectively. 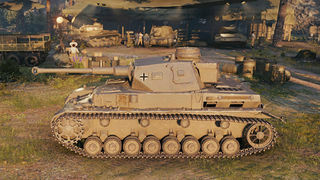 This tank should not be underestimated as it has roughly the same gun as the tier 5 German mediums, and is more than comparable when you mount it with 100% crew, vents, gun rammer and BiA. 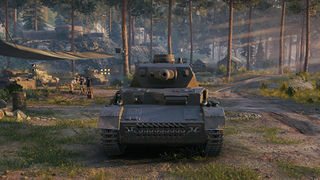 With consistent shots at decent accuracy, you'll be able to destroy enemies faster than any tier 4 tank. The 7,5 cm Kw.K. 37 L/24 gun and radios carry over, mount the radio immediatly and the 7,5cm howitzer gun at own choice. The 5 cm Kw.K. 39 L/60 gun and top engine may be researched from other techtree branches, mount if you have these. Research the tracks, for improvement on ground resistance and higher weight capacity; Then focus on the top turret and 7,5 cm Kw.K. 40 L/43 gun to bring out its true potential; Finish remaining modules and go from there. This page was last modified on 22 October 2018, at 18:06.